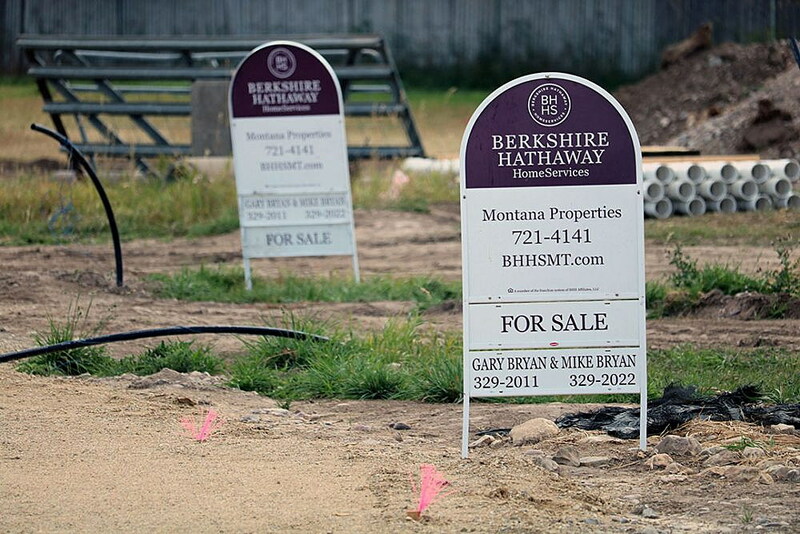 The number of homes sold in the Missoula real estate market is down this year over last, representing a 4.7 percent decrease in residential sales, according to data provided by the Missoula Organization of Realtors. National economists and real estate watchdogs this week suggested the U.S. housing market is softening, with existing home sales peaking and price increases slowing. That holds true in Missoula as well, though it depends on the price point, according to Brint Wahlberg, an agent with Windermere Real Estate and chair of the Missoula Housing Report, released annually by MOR. However, Wahlberg said, the median sales price in the Missoula market, which includes the Missoula Valley, Lolo and East Missoula, has increased $21,000 over last year to $291,000. That represents a record high, one Wahlberg attributes to Missoula’s ongoing lack of supply. “We’re coming off the tail end of this trend in our market, like a lot of national markets are, where a lack of supply, especially in spring and summer, was forcing people to pay essentially an all-time high, or as close to full price on record across the whole market as we’ve seen statistically,” said Wahlberg. The current median price of $291,000 is down slightly from nearly $300,000 recorded in August. Wahlberg said that’s typical in the Missoula area, where fourth-quarter sales tend to dip, bringing down the median price. Wahlberg still sees a seller’s market, though that depends on the price of the home. Anything less than three months supply is considered a seller’s market, and the Missoula market as a whole stands at 2.8 months. But homes priced from $150,000 to $300,000 have a supply under two months, Wahlberg said. Homes priced from $350,000 to $425,000 have a supply of 10 months, which represents a buyer’s market. Wahlberg believes rising interest rates have also impacted this year’s sales volume. Last month, according to Yahoo Finance, Freddie Mac said it expects 2018 home sales – both existing and new – to come in below 2017. The organization is projecting total home sales to decline nearly 1 percent. “The spring and summer home buying and selling season ultimately ended up being a letdown, despite a faster-growing economy and healthy demand for buying a home,” said Sam Khater, chief economist at Freddie Mac, said a press release.